The previous post focused on classifying a company’s costs into primary and secondary cost elements. 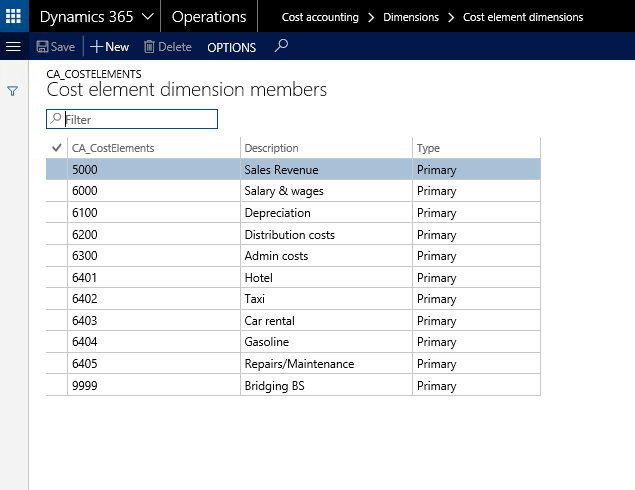 Within this post, we will continue on this classification topic and demonstrate how cost elements can be used for analyzing cost accounting data in the D365 web client. To realize this, a so-called cost accounting ledger needs to be set up, which defines processes and rules for measuring costs on cost objects. The next screenprint shows the cost accounting ledger used for the following illustrations. As one can identify from above, two things need to be defined for the illustration of the demo data shown in the previous post. First, a cost element hierarchy that holds the cost elements that will be analyzed. And second, the cost control unit, which holds the cost objects, such as for example the cost centers, departments, etc. 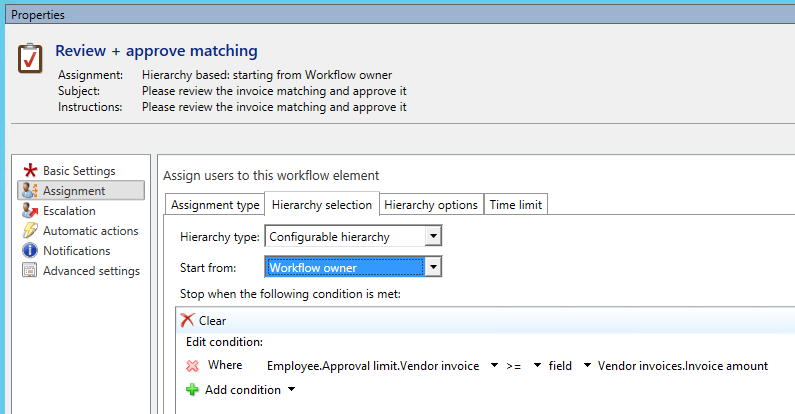 More than a single control unit can be setup in this form and be linked to a cost accounting ledger. After the cost elements and cost objects are defined, the data for the cost accounting ledger can be processed; that is, transferred from the general ledger into the cost accounting module. To process those data, the data source / data provider needs to be configured first. This configuration is made as illustrated in the following two screenprints. Data from multiple posting layers can be imported at the same time. This is something that has not been available in the ‘old’ cost accounting module. Once the data source / data provider is configured, the GL data can be processed (transferred), as illustrated in the following screenprint. 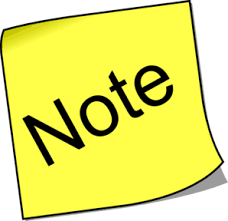 The outcome of processing the data can be identified through the following cost element journal entries form. 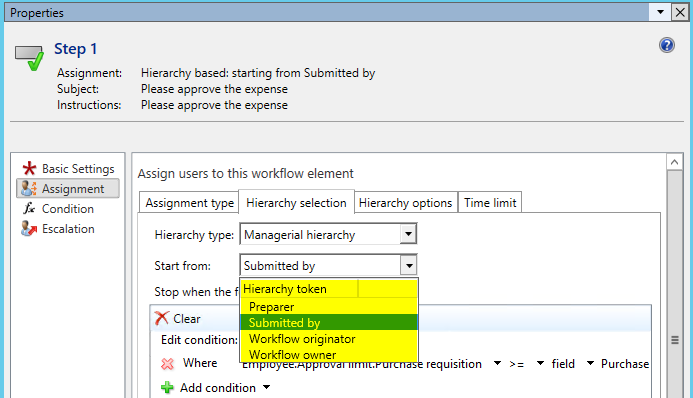 To visualize the processed data in the cost controlling workspace, the workspace needs to be configured first by establishing a reference to (1) the cost control unit, (2) the cost elements and (3) the cost object. With this workspace configuration in place, the following cost accounting data can be identified; in the screenshot below for the cost object ‘cost center 500 sales’. 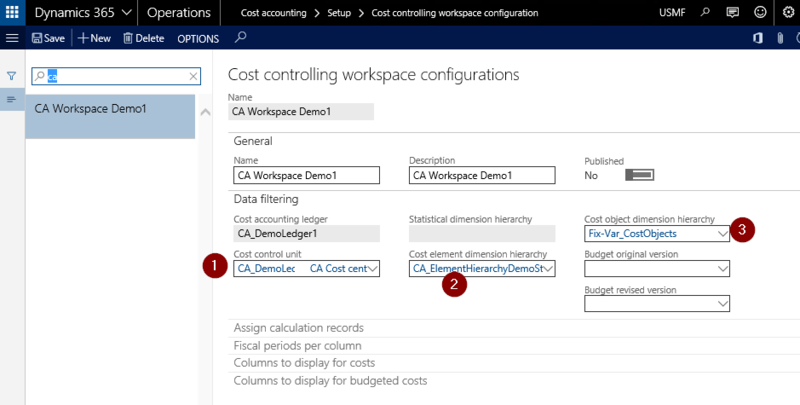 Please note that the cost controlling workspace does not differentiate between cost and revenues and simply adds up both elements. 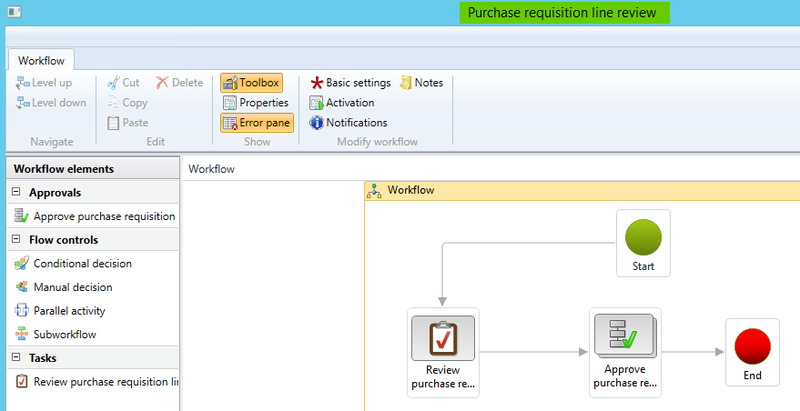 Moreover, the cost controlling form in the web client allows visualizing only one cost object at a time. A side-by-side comparison of the different cost objects – as illustrated in the sample data shown in the previous post – cannot be realized. This is because the cost controlling workspace is designed for the use of cost object managers and its access can be restricted by security rights. As a result, users have to apply Power-BI tools if they need a side-by-side comparison of the different cost objects analyzed. Details of the data illustrated in the cost controlling form can be viewed through the view details button/form, as exemplified in the next screenprint. In other words, even if multiple main accounts are summarized into a single cost element (‘travel costs’), details of the individual account data are still available. In the next post we will take a look at how the total costs shown in the cost controlling workspace can be separated into a fixed and variable part. Till then. 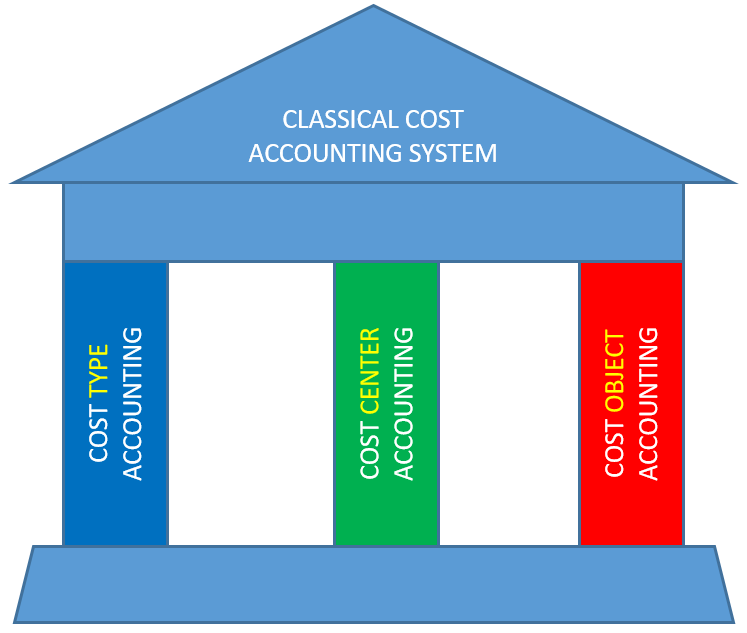 Within this second part, we will take a deeper look at the first pillar of a classical cost accounting system and investigate how a company’s costs can be classified for cost accounting purposes. This investigation will be done based on the following sample data that have been recorded through a GL journal with the main accounts and financial cost center dimensions illustrated in the next figure. 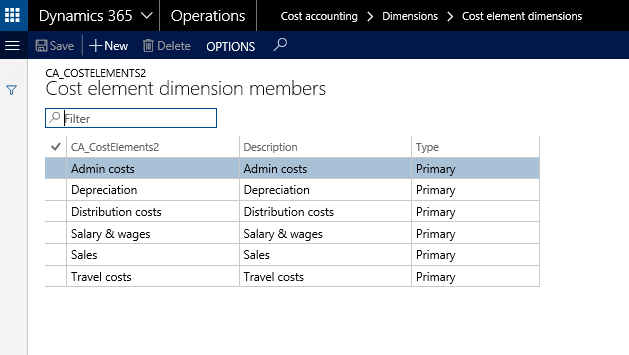 To get those costs classified in the cost accounting module, a cost element dimension (that holds all cost elements required for the subsequent analysis) needs to be setup first. 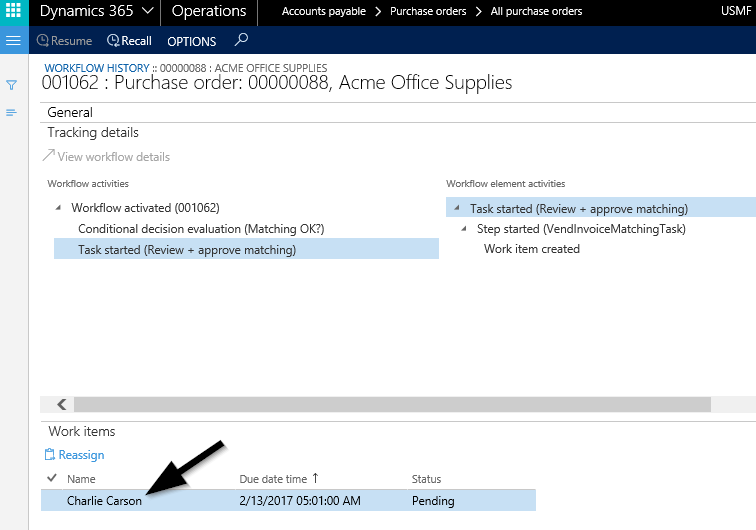 Setting up a cost element dimension necessitates that a linkage to an existing Chart of Accounts (COA) is made. In addition, one has to define the main accounts that need to be imported into the cost accounting module. This definition can either be made by referring to main account types or account ranges, as exemplified in the next screenprint. 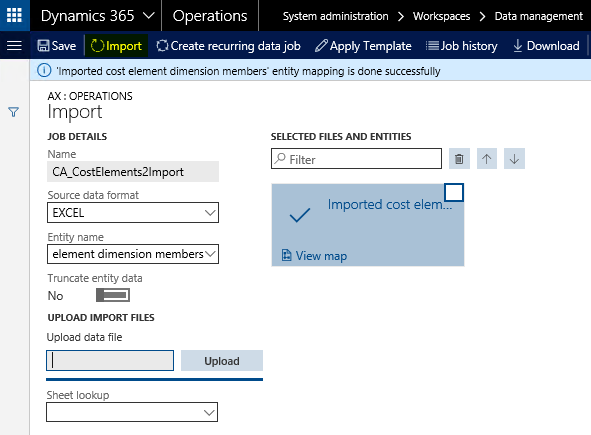 Once the cost element dimension is setup and defined, the only thing missing is starting the ‘import dimension members’ job through the respective button. After the import job is finished, the different cost elements that were imported from the general ledger (GL) module are classified as primary cost elements and can be identified in the ‘view dimension members’ form. The next screenprint illustrates this. 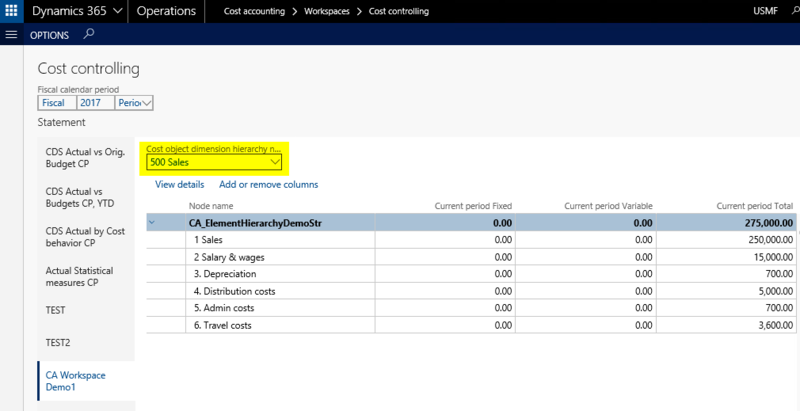 Balance Sheet (BS) and Income Statement (IS) accounts can be imported into the new cost accounting module. 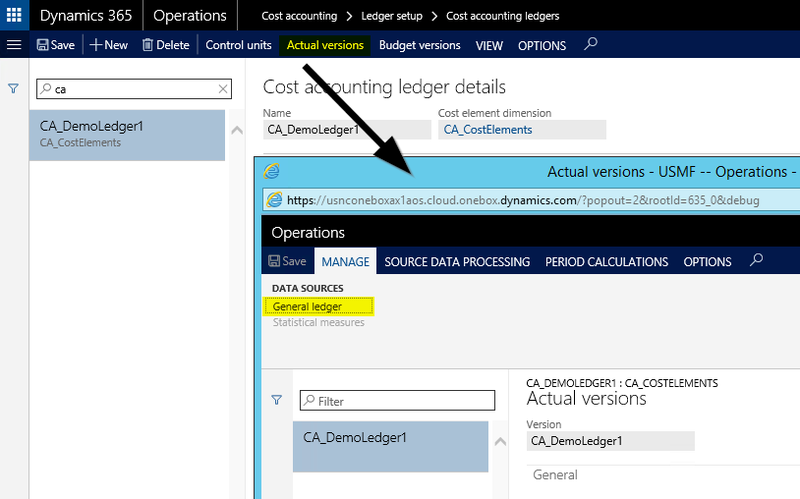 Importing BS accounts was not possible in the ‘old’ cost accounting module without making a system modification. 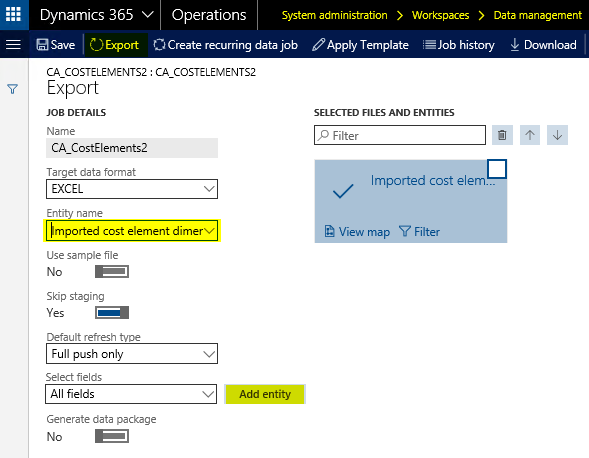 If one imported too many or wrong main accounts as cost elements, the fastest and easiest way to get this corrected is deleting the cost element dimension because subsequent imports won’t delete elements that have already been imported into the cost accounting module. 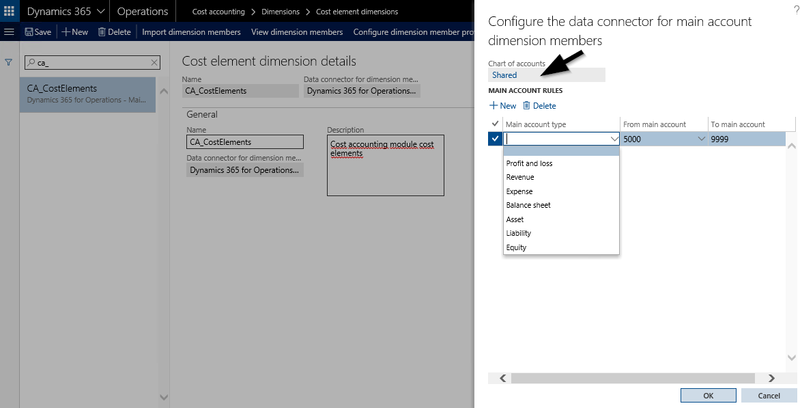 After the primary cost elements have been created through an import from GL, secondary cost elements can manually be created in the cost elements member form by selecting the new button. The next screenprint shows an example. Secondary cost elements are used in the cost accounting module only and are used for cost allocations and overhead calculations. Their usage will be shown in subsequent posts. An investigation of the screenprint above shows that a 1:1 relationship between the company’s main accounts and the cost accounting elements exists. Sometimes cost accountants do not require this level of detail but would rather summarize different main accounts into a single cost element. Let’s assume that the cost controller is not interested in the details of the travel related expense accounts but wants to summarize all of them – in the example main accounts 6401 to 6405 – into a single cost element denominated ‘travel costs’. 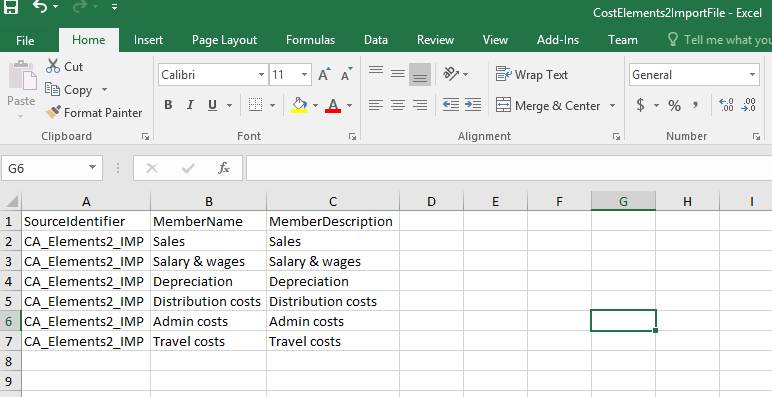 Summarizing different cost element dimensions can be realized by preparing the required cost elements in Excel, uploading and mapping them. The next screenprints demonstrate how such an import works. The data connector is the source identifier that has been specified in the Excel template. For details, please see step 2 further above. The outcome of this import can be controlled through the ‘view dimension members’ form and is illustrated in the next screenprint. 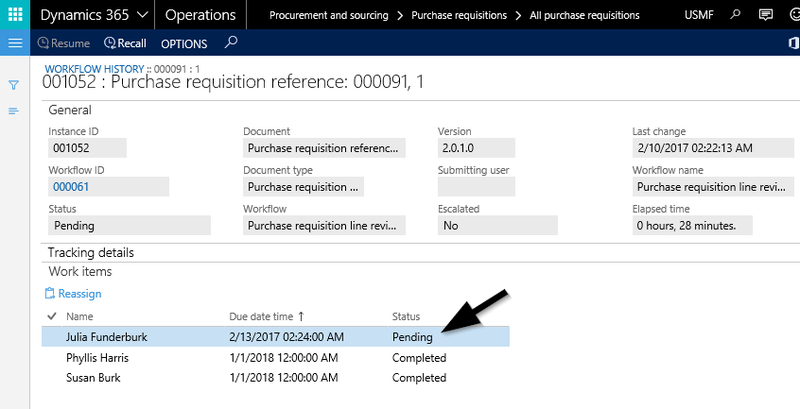 The last step required consists of mapping the imported cost elements with the GL main accounts that have previously been imported into a different cost element dimension. 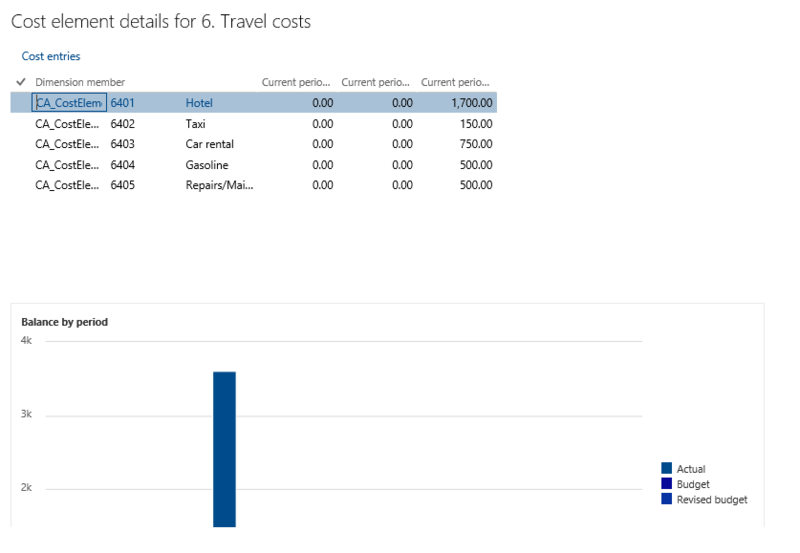 The next screenprint shows how the different cost elements/main accounts are mapped for the travel cost accounts. 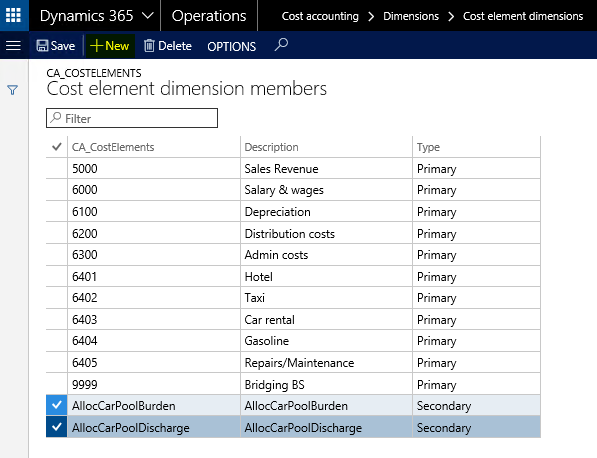 The ability to map cost elements from different cost element dimensions allows incorporating cross-company accounting scenarios in the cost accounting module; something that has not been possible in the ‘old’ cost accounting module. 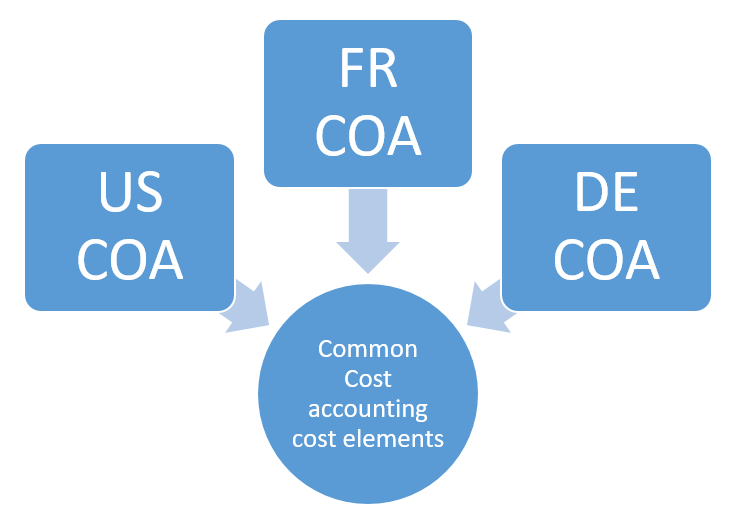 The next illustration shows a scenario where business data from three different companies (US, FR & DE) that all use their own COA can be analyzed together through the definition and mapping of cost accounting elements.